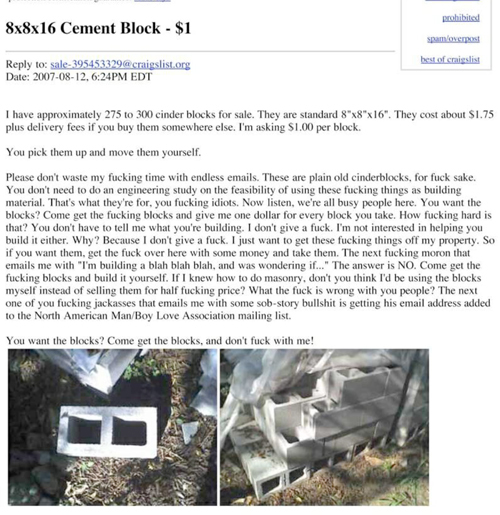 This has got to be one of the funniest (if not the funniest) Craigslist postings I've read. It's a great example of how much of a pain it can be to deal with Craigslist people. Sorry if it's a bit blurry. Lmao! I'm glad I found your blog. This has made me laugh for today.